Have you ever watched a hypnosis video? What if I told you that you watch a hypnosis video every time you turn on the TV? 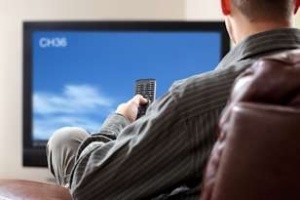 Did you know that you are being hypnotized every time you watch television? 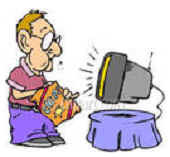 Every time you watch TV, you are being hypnotized to buy all the unhealthy food flashing by in commercials. You are being programmed to want and need things that you wouldn’t normally want or need. Don’t believe me? 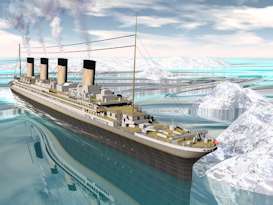 What about when you watched The Titanic? Weren’t you horrified? Didn’t you experience shock and fear? Didn’t you feel almost the same way you would have, had you actually been watching all those people go down with the ship? What happened was you slipped into the alpha state. In that state, you empathized with the actors. In that state, you couldn’t separate the movie from real life. You felt strong emotion or cried along with the actors. You feel their pain as if it were your own. How does that happen? You enter the alpha state when you are hypnotized. When you are hypnotized you are more open to suggestions. The relaxed state you enter into while watching TV is also the alpha state. Two-thirds of your TV viewing time is spent in the alpha state. In this state, you are susceptible to the suggestions of anything taking place on the screen. You are involuntarily watching a hypnosis video every time you relax in front of the TV. Commercials are a problem when you are in the alpha state. They are purposely crafted to entice and motivate you to purchase a product. The people who create and produce commercials know you will be in a state susceptible to suggestions. That hits below the belt, because many of these products are unhealthy and unneeded. How do you combat this? How can you change what has already been programmed in your unconscious mind? How do you defeat this? You can stop watching TV commercials. But what about the programming already embedded in your mind? What if you could voluntarily become hypnotized to reverse the damage done? Combat negative programming with the same technique that created it, hypnosis video. Use self-hypnosis video to overcome unintentional video hypnosis. Not just any video will do. Hypnosis is a technique that requires a highly skilled and experienced hypnotist to receive results. Look for credentials and satisfied clients. 70% of the population learns more quickly by seeing, rather than hearing. The hypnosis video program, Neuro-VISION®, uses that to your advantage. Neuro-VISION® is an amazingly effective and successful, hypnosis video program. Neuro-VISION is the only hypnosis / NLP video technology to have ever received a Registered US Patent. The Neuro-VISION technology uses self-hypnosis video to extinguish cravings. It will reprogram your unconscious mind with healthy triggers, instead of the unhealthy ones you are fighting against. Do you sit down on the couch to watch a movie and suddenly crave a snack? Maybe you crave some popcorn or chips? Perhaps you crave a cigarette or chewing tobacco when you watch TV. This is because your mind recorded the image of you snacking, smoking or chewing and associated that image with the image of the TV. Then, every time you watch TV, your unconscious flashes that same image. Bam! You have a craving! Your unconscious mind has been programmed with unhealthy conditioned responses. Neuro-VISION will erase the conditioned responses. Use it for more than smothering out habits. Tension and stress can also be wiped away from your life with hypnosis videos. Tension is created by thoughts. If you think upsetting thoughts you’ll feel tense and upset. If you think upsetting thoughts while at your computer, your mind associates these thoughts with your computer. The next time you sit down at your computer, your mind flashes to the upsetting thoughts and you get tense. You have accidentally programmed yourself to feel tense when using your computer. You can change your negative programming quickly and easily with hypnosis video. Neuro-VISION is based on an amazingly successful school of therapy called Neuro-Linguistic Programming (NLP). Do you often crave food when you watch TV? If you do, it’s because you’ve unconsciously associated the image of food in your hand with the TV screen. The Neuro-VISION video can turn that around. For example: A powerful NLP technique used in the Neuro-VISION video is called the “Flash”. The Flash can change your reaction to a trigger at the unconscious level of mind. Rather than suggestions, the NLP Flash uses the same thought patterns that create a problem, to eliminate the problem. In the case of cravings when watching TV, with video hypnosis you actually get a compulsion to NOT to eat. The same goes with smoking, chewing tobacco and other unhealthy habits. You get a compulsion to not do these things. Hypnosis videos are highly successful. Visual movies are used to teach your mind to automatically change feelings and visual associations. Neuro-VISION uses computerized digital optics to free you of your conditioned responses. You don’t need willpower. If you smoke, you will be able to quit without cravings. If you over eat, you won’t have the cravings that drive you to binge eat. Neuro-VISION gives immediate results, often with the first viewing! Madeline Denbo had terrible cravings for food. She would not eat normally. In her own words she would eat, “everything in sight”. She tried diets; nearly every diet she could think of. She would lose weight on them. But the minute she was off the diet, she would return to her old eating habits. Nothing could control her appetite. She saw a Neuro-VISION television ad and decided to try it, even though she was skeptical. 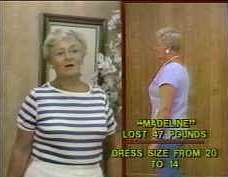 She lost 47 pounds. It was easy. Neuro-VISION stopped her cravings and overeating. She gets lots of attention now and her husband brags about her. Madeline would recommend it to anyone she knows. She feels like she has a new chance. 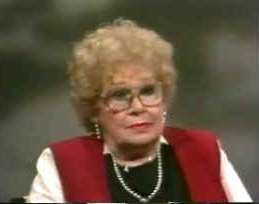 Ruth Chrisman smoked 3 packs a day for 35 years. She tried to quit so many times. She knew it was a devastating habit and she wanted to quit. She spent a lot of money on trying to quit. Nothing worked. The first day she used Neuro-VISION, she quit. She had no desire for a cigarette. She was flabbergasted! Self-hypnosis videos make amazing sense. Reprogram your mind to think the way you want to think. Take years of negative programming and turn it around immediately. Alan B. Densky, CH has been a successful consulting hypnotist since 1978 when he opened the Center For Applied Hypnosis. Later on he went on to also receive certification in NLP, a sort of “space-age” hypnotherapy. 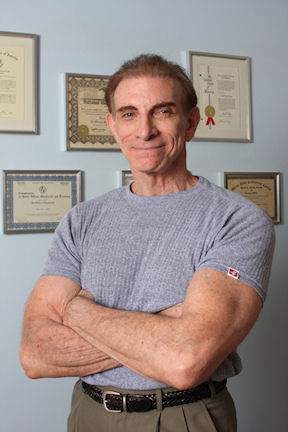 Mr. Densky is the inventor of the Neuro-VISION Video Hypnosis & NLP technology. This entry was posted in Hypnosis Posts. Bookmark the permalink.